Welcome. I am so happy that you stopped by. My studio is always open for you to come in and sit and relax for a few minutes with a cup of tea while I share with you the inspirations for my art. 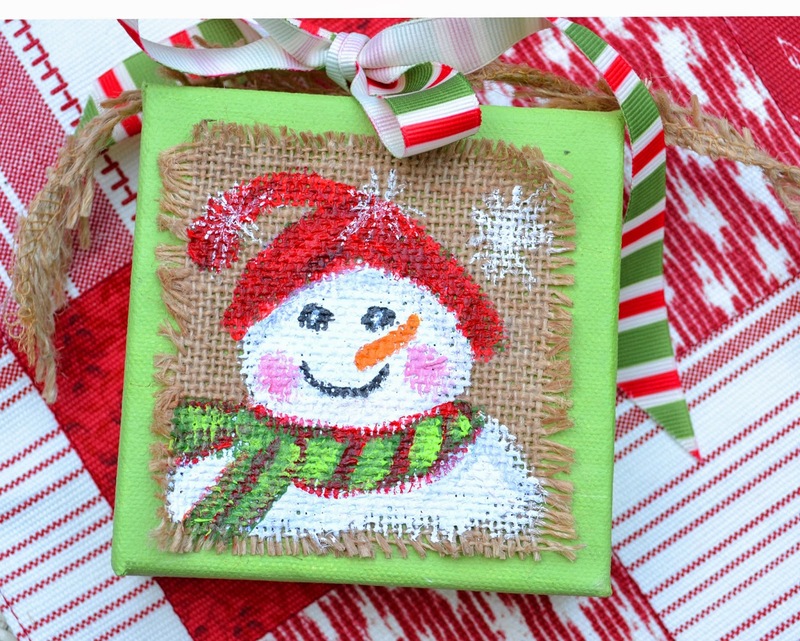 One of my customers asked me to paint little snowmen canvases using burlap or burlap trim/ribbon etc. that she could use as favors on the table at a Christmas luncheon. She is using burlap table runners - tiny red and green apples, red berries and bright green leaves for decorations and wanted the base color on the canvases to be a bright green. I thought it would be fun to share the process with you in the event you want to make your own. Bentley. my Studio Assistant, is waiting to welcome you into the studio. 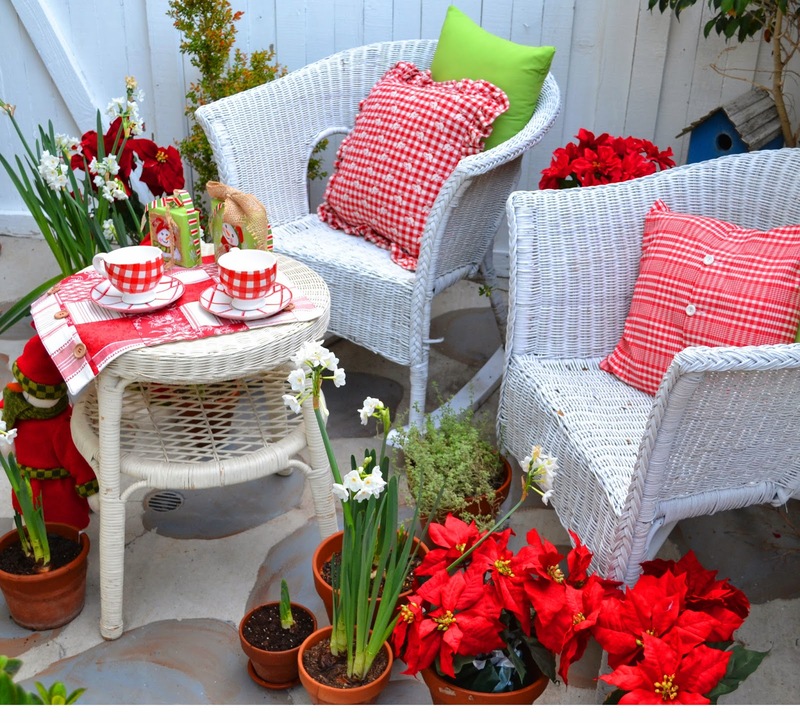 The indoor/outdoor chair cushions on the wicker rockers are the perfect colors. I used 3x3, 4x4 and 5x5 gallery wrapped canvases as you can see by the photo below that the gallery wrapped canvases stand on their own and are perfect for a table setting. You can paint yours on any size - they would be cute on blocks of wood or traditional canvas. I used the reds and greens on the burlap to echo the colors the hostess is using. 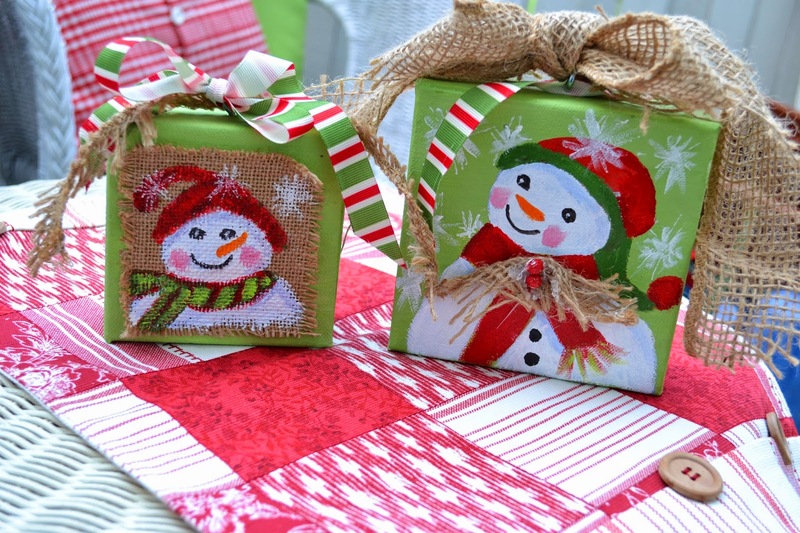 The little canvases stand well on their own and make charming little table decorations. I found 5x5 burlap canvases at Aaron Brother for 50% off. The burlap canvas is a little difficult to paint on as it does not take the paint as well as the cotton canvas. 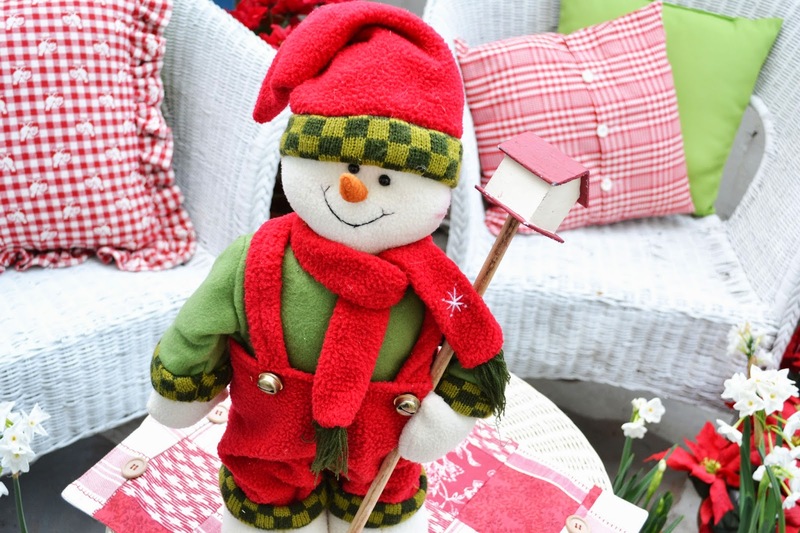 I used white gesso to paint the burlap canvas snowmen bodies and 2 coats of heavy body liquitex to paint the hats, scarf and details. 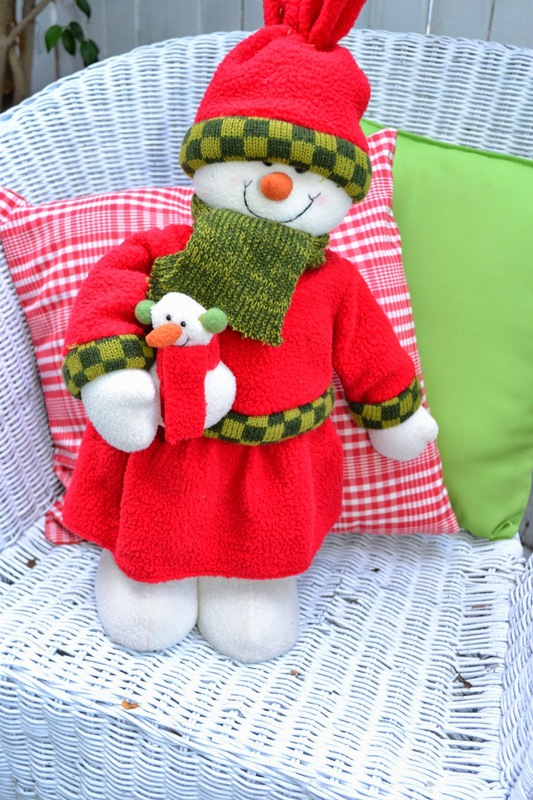 I used liquitex heavy body in a bright green to base coat the cotton canvas snowmen and painted the bodies and details with liquitex heavy body paint. 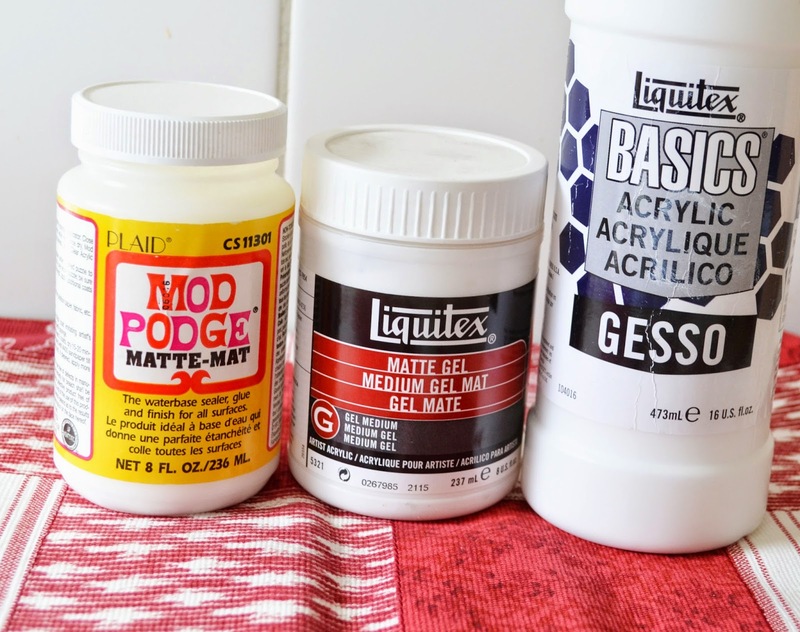 You can use craft paint - it is much thinner and will take 2-3 coats - however - it will work just as well. I bought squares of burlap made by Mat Stack and found the sheets were easier to use than actual burlap material off a blot. I was able to fringe the edges before gluing to the canvas and thought it gave it a nice look. 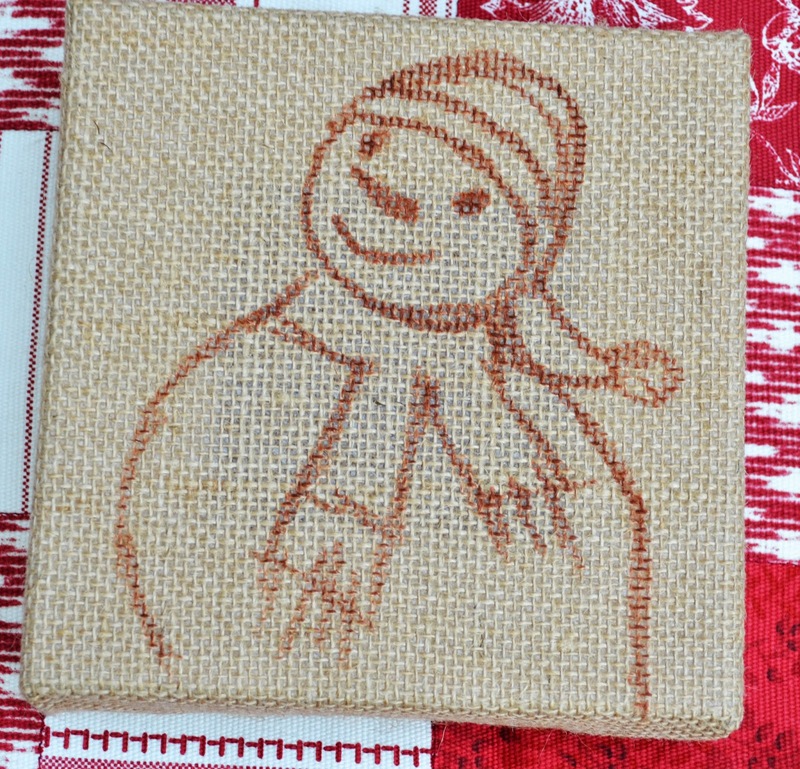 Below is a sample snowman drawing - you can also find other snowmen and snowlady drawings and instructions under Art 101 on the navigation bar at the top of my blog. I added a small screw eye hook on top of the square gallery wrapped canvas to add a little ribbon for decoration. 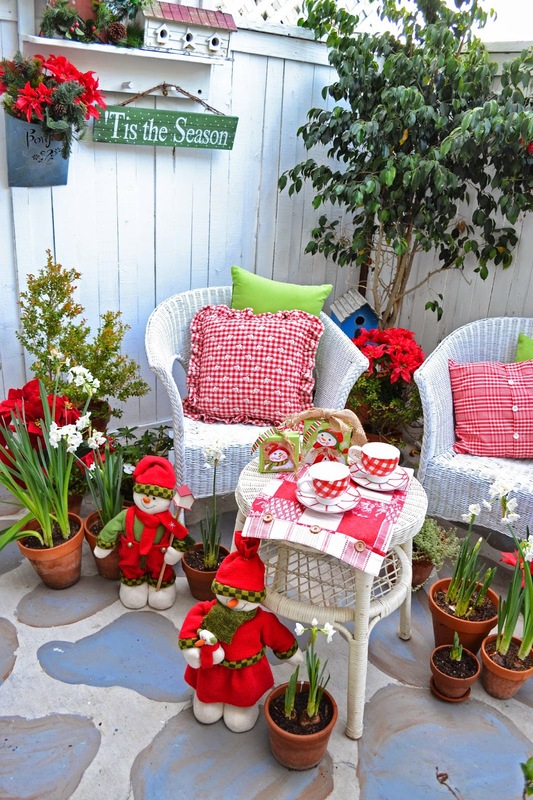 Use caution in adding decorations or details to your paintings that small children or pets may put in their mouth. For this one I attached a piece of burlap cloth to the painted canvas using Liquitex gel medium to the top and bottom - you can also use mod podge to attach the burlap to the canvas. The white body was painted with white gesso and the details painted with heavy body liquitex. 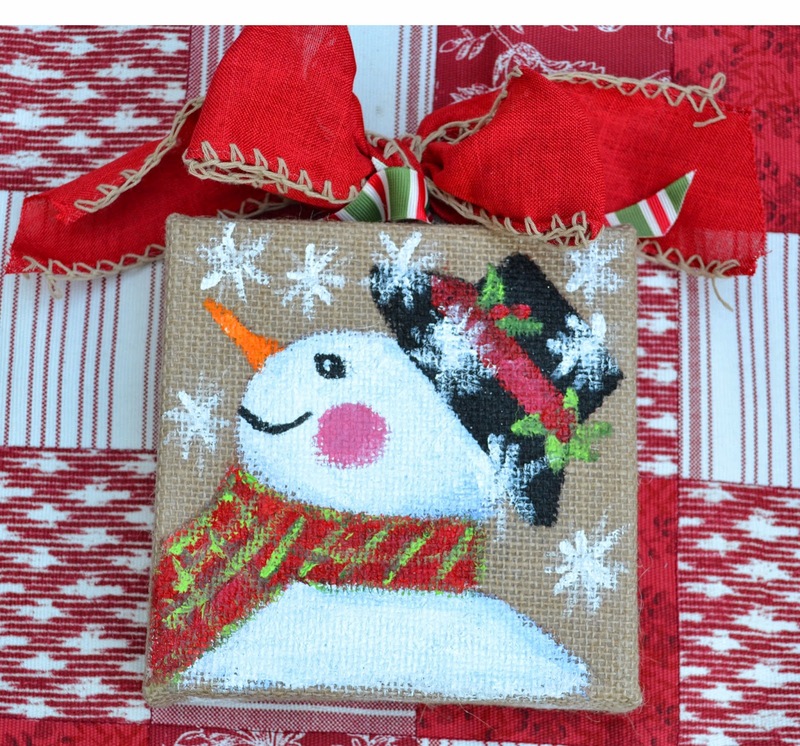 A small screw eye hook was attached to the top of the canvas to use to attach the ribbon and burlap. The one below was painted on the mat stack sheet and I like the way the paint looks better on the square than on the actual canvas burlap - it reminds me of an old fashion sampler. Thank you for stopping by. 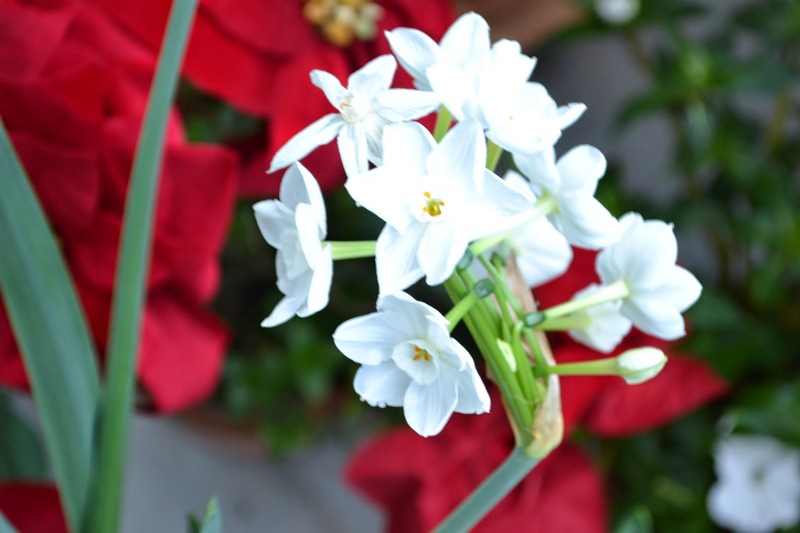 I sincerely appreciate your visits, e-mails, comments and those who follow my blog. Please let me know if you have any questions. 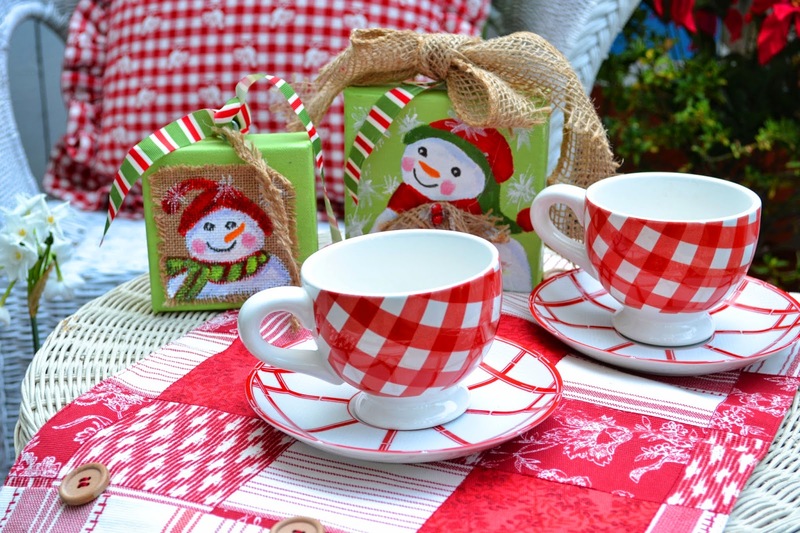 I love, love snowmen, and these are just adorable! 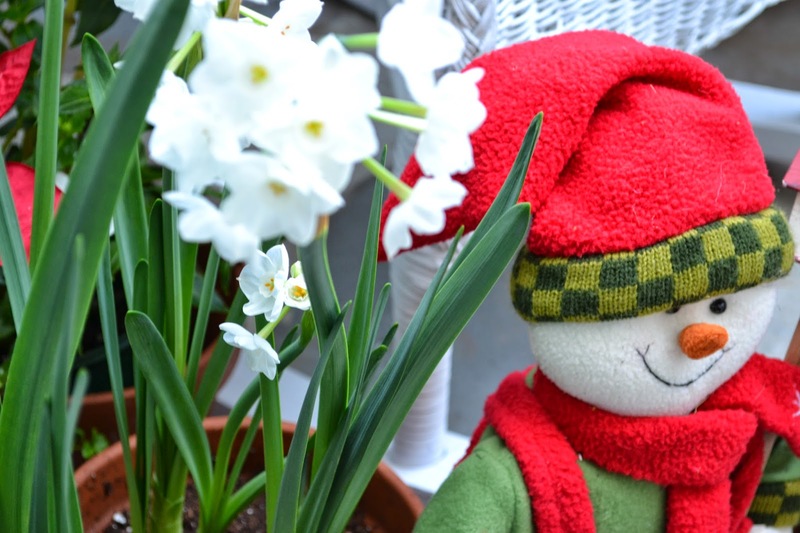 You're so very clever and the snowmen are so cute! So Cute! 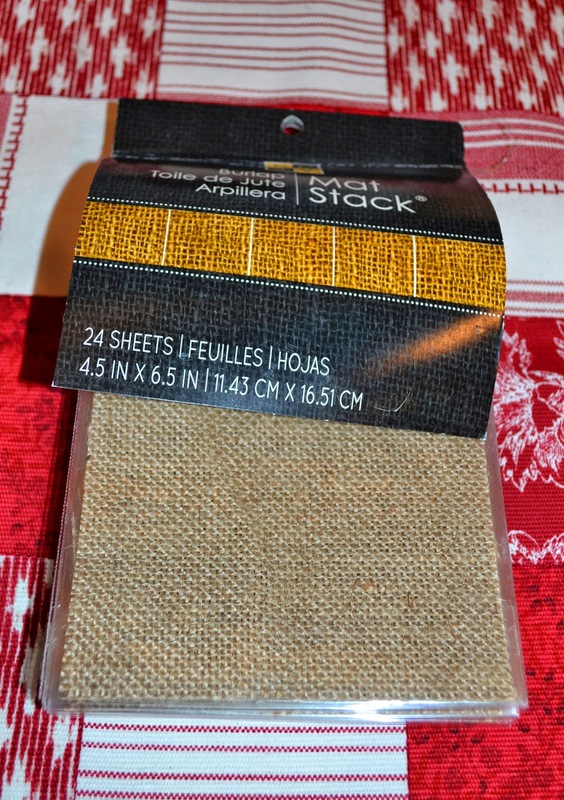 Have some burlap strips, may try them out! Everything you create is touched with magic! 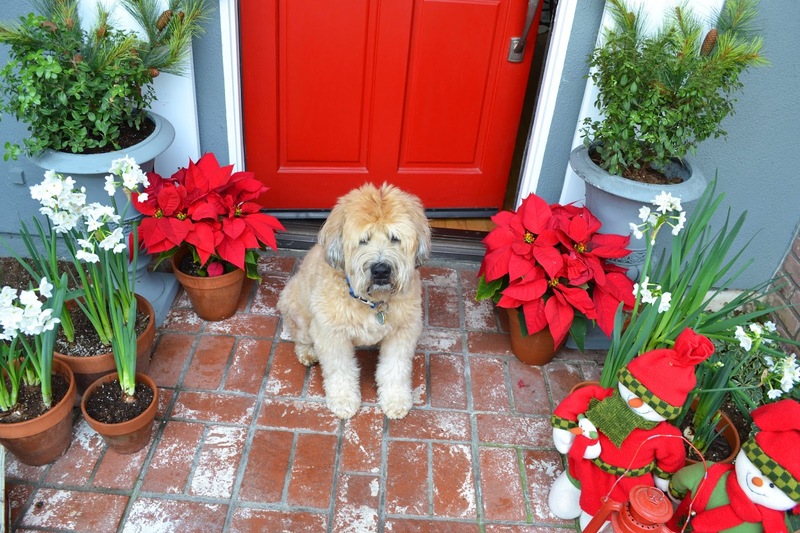 And I can see you are ready for Christmas! Beautiful. Bentley looks adorable.